Reach out to the global community of Mobile App Developers with the Optin Contacts Mobile App Developers List. Optin Contacts is the leader in providing the most comprehensive and effective data management solutions along with accurate market analysis to help increase your ROI. We data mine, compile, and gather the contact information for the Mobile App Developers Email List from both Android and iOS platform and bring it to you in an easy to use excel format. Our Mobile App Developers List has been collected from the Apple Store and the Google Play directory. 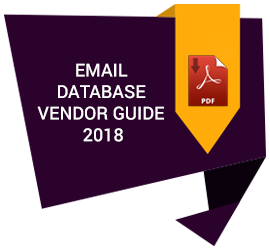 It contains a varied range of fields of information such as First Name, Last Name, Title, Email Address, Company, Address, City, State/Province, ZIP/Postal Code, ZIP4, Country, Phone, Fax, Employees, Sales, SIC Code, Primary Industry, NAICS and Web Address. All the contact details that are mentioned in the Optin Contacts Mobile App Developers Mailing List are public information so it is safe for you to go ahead and contact and connect with the Mobile App Developers mentioned in the list. All data has been collected from the Google Play directory and the Apple Store and then humanly verified by our team of experts to bring to your the most accurate and verified Mobile App Developers Email List. In this age of smart phones it is foolish not to engage with your target audience with the help of smartphone apps or application software. At Optin Contacts we see business opportunities in the changing landscape and offer our Mobile App Developers Email List. Mobile App developers optimize coding for mobile devices, tests designs and prototypes, and analyze codes. Considering that Mobile Apps are what will power the next generation of mobile and digital devices it is time to utilize our Mobile App Developers Database and make your mark with your target customers through proactive marketing and strategies. Considering that over 80% modern marketers choose cross-channel and multi-channel campaigns to reach their audiences, our Mobile App Developers Mailing List will systematically help you to campaign across the USA, Canada, UK etc. through the preferred channel of communication. At Optin we understand the need for having segmented and customized database at your fingertips. It eliminates the wastage of time and money that otherwise goes into sorting through voluminous databases. For your ease of use we bring Mobile App Developers Email List segmented by industries we cover, by Annual Revenue, Geographical location and Fields. When you choose to invest in the Optin Contacts Mobile App Developers Database you become entitled to a host of advantages that sets you apart from your competitors. Competitive pricing to give you the best price in the industry. Optin Contacts prides itself on offering flexible yet affordable solutions by providing you with reliable, accurate and quality data. Freedom from duplication of data through the process of frequent data cleansing. The data available to you is authentic, clean, and concise. Opt for a free sample of the Mobile App Developers Email List today and experience unparalleled quality of data. Gain an edge over your competition by using accurate and verified data. Get creative with your thinking and accelerate your ROI with the Optin Contacts Mobile App Developers List. For more Technology Email List click on the link below.